What’s more tragic than a romance cut short by the swipe of Death’s scythe? Love doesn’t always end when death dost them part, and a number of films have explored this. For some, it’s comedic, for others tragic, but for us, it’s all romantic. 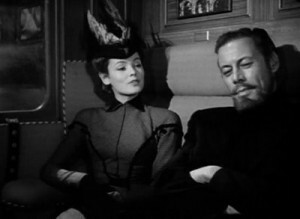 We’re not talking about the frothy 1968 sitcom with Hope Lange (Blue Velvet) and Edward Mulhare (Caprice), but rather the 1947 romantic fantasy with Gene Tierney (Laura) and Rex Harrison (My Fair Lady) that inspired it. Widow Tierney moves into a seaside cottage that, she quickly learns, is being haunted by Harrison, the ghost of a deceased ship captain who doesn’t want to leave his beloved former home. Harrison makes himself visible only to Tierney, and the two are together under the same roof for years, with Harrison stepping aside for Tierney to live her life. It’s when she gets involved with smarmy George Sanders, that Harrison realizes he’s in love with her. 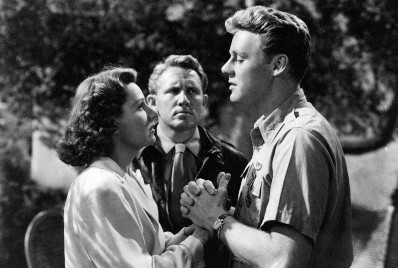 Phillip Dunne’s script is charming, Joseph Mankiewicz’s (All About Eve) direction is comfortable, and the film’s warm embrace of a love eternal — in life and the afterlife — is timeless. From British writer/director Anthony Minghella (The English Patient), 1991’s Truly Madly Deeply is the intelligent, heartfelt and quite funny tale of Nina (Juliet Stevenson, Mona Lisa Smile), a woman grieving over the death of her deceased cello-playing lover Jamie (Alan Rickman, Die Hard) — until his ghost returns claiming that his death wasn’t conducted “properly” and he can stick around for a while and continue loving her. Nina’s quite happy about it (much to the surprise of her friends, who figure she would be mourning), until Jamie brings around a bunch of his ghost buddies and they hang out in Nina’s den watching TV. Looks like they don’t want to leave either. Truly Madly Deeply‘s bittersweet take on the acceptance of death in the face of love — when should love end — is gentle but potent and very romantic. 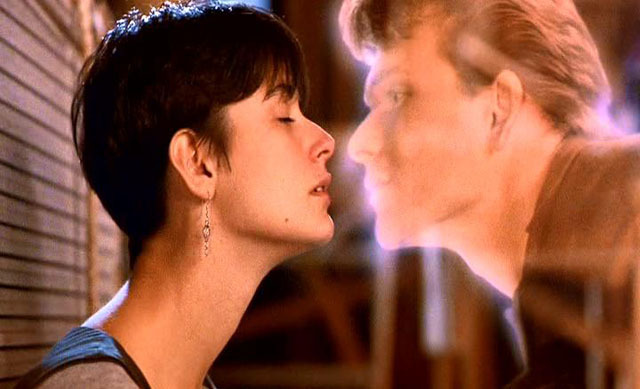 The love between Demi Moore and Patrick Swayze is truly undying in Jerry Zucker’s 1990 romantic movie. When Swayze is killed during a mugging, he can’t let go of Moore, and while he watches her grieve, he discovers his death wasn’t an accident. But as tense as the mystery is, and as funny as the comedy from psychic Whoopie Goldberg, it’s scenes such as the one when Swayze and Moore spin a pot together and the wonderful ending when they get to see each other one final time, that makes this film our No. 1 choice for Best Romantic Ghost Movie. A fantastical war-time romance/drama, A Guy Named Joe (1943) tells the story of reckless World War II fighter pilot Pete Sandidge (Spencer Tracy, Adam’s Rib) who is killed in action and sent back to Earth a year later by a heavenly “general” (Lionel Barrymore, It’s A Wonderful Life) to pass on his experiences in life and war to young airman Ted Randall (Van Johnson, TV’s Rich Man, Poor Man). But how is Pete supposed to react when Ted falls for Pete’s still-grieving lady love Dorinda (Irene Dunne, His Gal Friday)? This divine tale of love, war and loss romantically proposes that genuine feelings can carry on beyond death, but everyone — even Pete’s ghost — must accept that true love means accepting when a love can no longer be. Steven Spielberg (AI: Artificial Intelligence) remade Joe in 1989 as the equally wonderful Always and traded in the WWII backdrop to one of aerial firefighting. What a great set of picks – love “Ghost” and would probably have chosen “Always”… And anything that Alan Rickman is in that Kevin Costner is not.